At today's Divine Liturgy we heard that the Lord Jesus Christ said that a Christian must carry his cross: whosoever will come after Me, let him deny himself, and take up his cross and follow Me (Mark 8:33). He Himself carried His cross His whole life. Not only did He carry to Golgotha a heavy wooden cross upon which He was about to be crucified; He bore His cross His entire earthly life! Consider that the eternal God joined Himself to humankind, and thus as the God-man, He lived among men, sharing their lives with them. He brought to this earth His love and mercy. Judging no one, he forgave everyone, worked innumerable miraculous works of mercy, love, forgiveness, and healing. And as even more and more He shone that light of love among men, so tighter and tighter did the noose of satanic hatred encircle Him. His embittered enemies closed ranks against Him, coming at Him from every side, ultimately nailing Him to the cross. As you have heard it commanded, the true Christian may only follow Him in like manner only if he will take up his cross and follow Him. 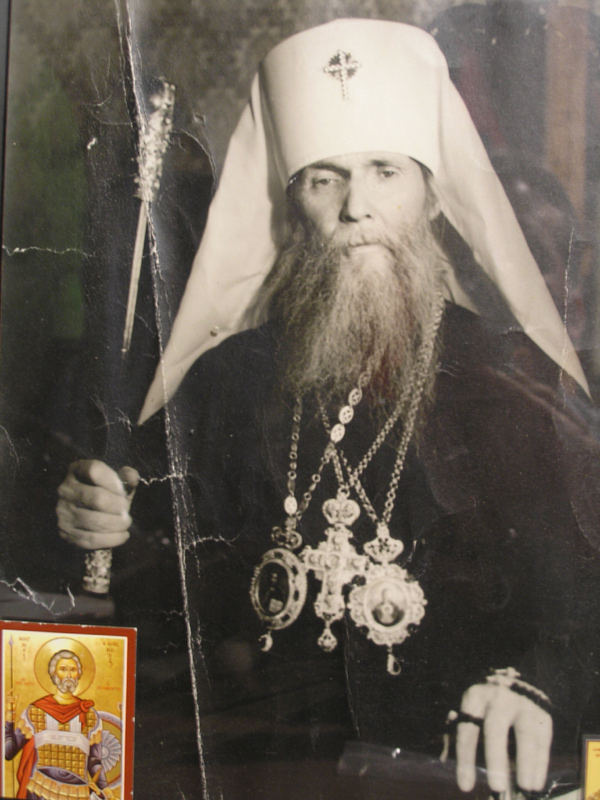 That holy cross is composed of three parts as explained by St. Theophan the Recluse. The first aspect of this cross is all those trials born by a person desiring to live in a pious and Christian manner, and who sees that it is very bad to falter due to sinful habits, for sinful habits can take full possession of him and hold him back. How very often this happens: initially, the soul of a person burns with desire to live a good Christian life, but his habitual sins, which he has become accustomed to committing, irresistibly draw him back to them again and again. And where he would not have gone, he finds himself being pulled in every direction at the same time. That is why Bishop Theophan says that a man in a sinful state is like a person walking around with a rotting and decaying corpse tied to his back. He has become bound to that corpse, refusing to cast it off and run away. So it is with a fallen and sinful nature. As the saying goes, "you cannot run away from yourself." The second aspect of the cross is to struggle to endure all the trials and tribulations of our earthly existence. This is most commonly known as one's cross, which includes all sorrows, illnesses, personal losses, and so on. Here we need to state that if a person humbly and obediently accepts all those sorrows as having been sent to him by the providence of God for his spiritual benefit, he will receive something completely different. If he should grumble, be rebellious, and become indignant, he will become disheartened. On the other hand, when he ceases to grumble, but humbly and submissively accepts these trials as coming from the right hand of the Lord, he will see everything around him in a completely different manner; all these trials bring only peace with the firm Christian conviction that all is as it should be. The Lord, the Heavenly Father, does not send a stone instead of bread, but when He does send sorrows, they must be borne in a Christian manner. The third aspect of the cross, and of which Theophan the Recluse speaks from experience, for it is well-known that he himself was a great ascetic, is the temptation which attacks a person who has overcome the seduction of habitual sins, which occurs with spiritual strugglers. Such persons have already struggled , not giving in to habitual sins. Then a spirit descends upon them, the abyss of the most dangerous temptation, the temptation of pride. At times the strugglers were exhausted in the fight with these temptations, with prideful thoughts. This type of cross is known only to those who bear it, such as Theophan himself. None the less it is our duty is to carry our own cross, and to be a cross-bearer, for our Lord does not acknowledge any other followers. Amen. Copyright © The Russian Inok (USA). All rights reserved.